Eclectic Mix Knitwear: A Giant Snowball of Yarn!......I wish!! 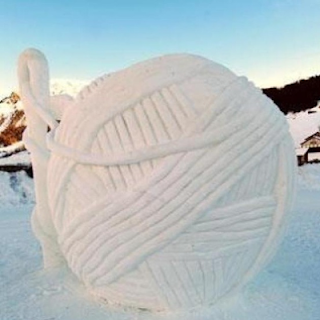 A Giant Snowball of Yarn!......I wish!! If it were real yarn, just think of the thick, warm blanket you could make.